MANY THANKS TO ALL who have sent in their poems with the five words taken from the Spanish poet Antonio Machado’s poem The Hospice. We received a record 122 poems and have made a selection from these to publish here on Given Words. 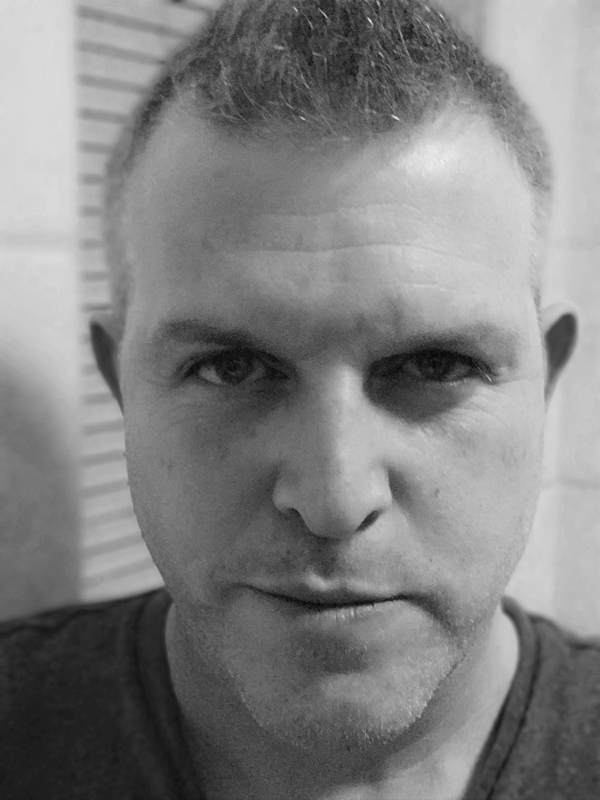 Our judge Charles Olsen comments: “I identified with the sharp, humorous Week’s end as I evaluated all the poems, although luckily my Monday was a little further away. I hope I haven’t thrown out too many potentially fruitful poems during my pruning. The idea of the hospice (from Machado’s poem of the same name) inspired a number of the poems reflecting on the twilight of life such as The Magnolia Tree, with its tender: ‘my daughter … nests beside her’. I was drawn by the charming simplicity of poems like The first snow, with the snow knitting ‘a fluffy beret/for the empty birds nest’, and The Hedgehog, where the snow is ‘emboldened by a decrepit sun’. In stark contrast is the dense language conjuring up so many images in Single-use downfall, which rewards reading aloud, ‘…sand-skate/Till salty as foam flotsam, a jellyfish cheat/Cheap bait…’ Some poems gave a nod to the Spanish connection, such as Crossing the Rio Grande with its two-line verses slowing the reading like the great river that meanders through ‘el despoblado’, or the word ‘cielo’ in The Stars Aligned, which here means darling or dearest but also means sky and heaven. I also love its images of ‘a nest of stars’ and the tide ‘looking/for something’. Deteriorating was one of the most succinct poems with each of the five words carefully crafted into place rewarding a meditative reading. In the end I was drawn most to the peculiar poem Processional with it’s otherworldly use of the five words beginning with ‘the baying of nests’ and the sensations it leaves hanging in the air like the ‘decrepit forms’ in the wake of this quasi-religious funerary procession. We are delighted to announce the winning poems. 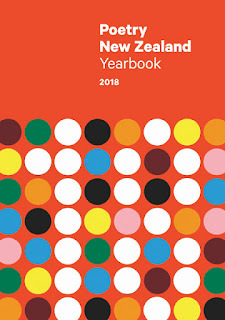 The winner of Best Poem who receives a copy of the New Zealand Poetry Yearbook 2018, courtesy of Massey University Press is Craig McGeady for his poem Processional and the winner of the Under-16 category who receives a copy of Slice of Heaven by Des O’Leary courtesy of Mākaro Press is Jemma Prileszky for her poem Seasons Poem. Congratulations from Given Words. The winning poems have also been translated into Spanish for Palabras Prestadas. Below are the winning poems. We also invite you to read our selection of the rest of the poems from adults here and from under-16s here. 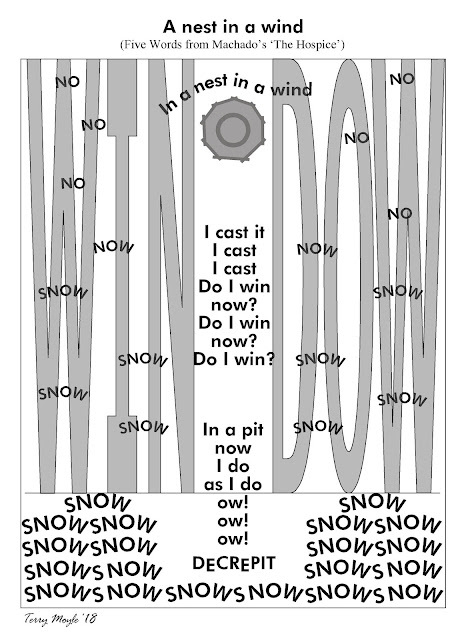 All the entries had to contain the words: decrepit, snow, nest, window and cast. is yearning from the other side of silence. ignorant of the leaves that catch upon their brims. winter on the verge of snow. to darkened doors and the silence of home. Read the poem in Spanish. Jemma Prileszky is a thirteen year old high school student. Her main interest and hobby is writing and she is always scribbling or typing; busy capturing new ideas. 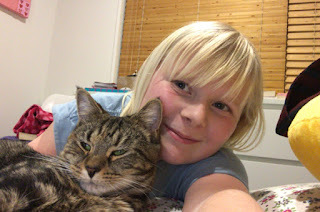 She has been attending The School for Young Writers in Christchurch for the past four years. When her fingers are aching from typing or holding her pen she relaxes with her pets, including her gorgeous whippets Kirby and Pip and her rescue cat Miss Maple. Her poem for this competition draws on the idea of indecision, and the consequences of not acting when you know you should have bothered. 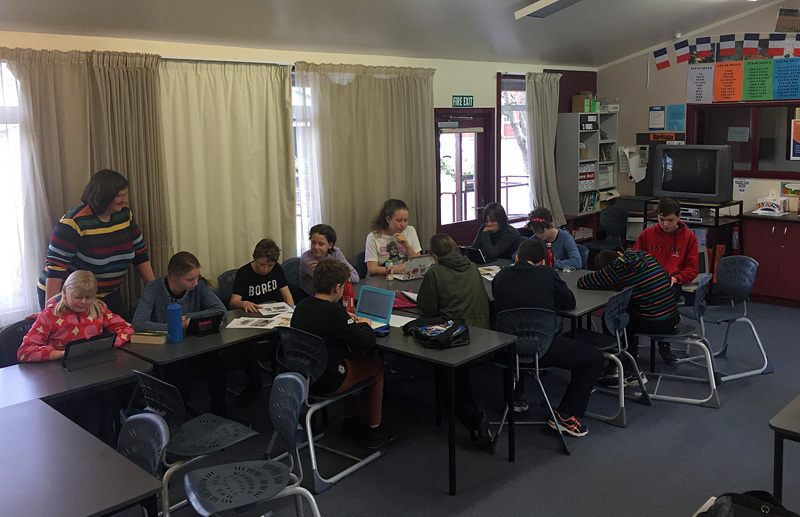 The School for Young Writers is a not-for-profit organisation founded in 1993 and based in Christchurch, New Zealand. They offer tuition to young writers anywhere in the world.Their aim is to help people develop confidence and individual styles as writers. Most of their workshops and online lessons are with young writers aged 7 to 19, where they show them that writing improves with effort, enabling them to succeed. The School for Young Writers team also introduce young writers to the joys and challenges of publication through their magazine Write On. Currently, 68 young people attend Saturday morning classes and hundreds of other young people attend workshops in schools, master classes, holiday programmes or learn via distance and online programmes. All of the tutors at the School for Young Writers are successful writers. Continue reading our selection of poems from adults here and from under-16s here. Here are the entries for Best Poem for the Given Words competition for National Poetry Day. They all had to contain the five words decrepit, snow, nest, window and cast, taken from a poem The Hospice by the Spanish poet Antonio Machado. You can read the winning poem Processional by Craig McGeady along with the judge's comments here and the poems from the Under-16s category here. nose pressed to coffee, she settles in. earnest, fretful, struggling for an opinion. the all-night wonders – oh, detailed suitable! oh, practised nonchalant! oh vague unfathomable! oh, timid formulaic! oh wordy impenetrable! Oh, decrepit red pen! Oh, bloody Monday. I pass her. Dressed, sitting beside the hospital bed, shoulders hunched, eyes cast down. ‘I never want to be decrepit,’ she’d said. Next door I meet doctors, social workers. Explain that today I am my mother’s voice. They move her to a place where rooms look onto green lawns, fuchsias grow in shaded beds. We visit in the evenings. My daughter climbs onto the bed, nests beside her, speaks softly. Do you remember, Grandmother, your raspberries, how we used to rush outside, looking for the bright redness among leaves and prickles. Sunday lunches, swimming in the pool, singing lessons - do you remember teaching me The Sandman, Grandmother? We kiss her closed eyes. Tell her it's time. This morning the magnolia outside my window is all flowers. Pink petals falling. Softness of snow. I remember it all again, and how my daughter sang To Music. on the naked branch of the sycamore tree. a nest in the snow. emboldened by a decrepit sun. and let her breath bead across the glass. Making tangled-up breath a lingering expiration. Will I ever change differently? Perhaps in your leaving I already have. the Earth’s deeply oiled breath. as though God made the Stars running in a circle. between the hummus and the shaved deli ham. casting shadows of the past on the present moment. It was too processed, too pink. To decrepit and slow- creeping nostalgia. through whatever life throws at you. i believe we were all born old. slivers along our scalp where light escaped us. all windows into other lives. into other hairline paper corner tornados. I have no blanket to wrap you in. I can no longer protect you. These eyes see through mottled windows. now to create sanctum for your own. Their names slip between my lips. Do you regret how you cast everyone away? Are you sleeping soundly in the bed that you made? Can you pinpoint where it all went astray? Here you sit, personality mummified. Locking away any happiness, it’s a curse! In the window you reflect, awaiting the hearse. on her own now for fifteen years. — who’ll be first to blink? after his heart transplant at Green Lane. a red rose love-pinned to her sheath dress. lifting like angel wings behind them. Gotcha! he shouts, gleeful. You blinked first! for only a moment, to hold your memory in. her water bottle, looks at no-one. The wall behind her is decrepit black. lies silhouetted at my feet. but before the first frost. in the last remnant of your hands. I stretch my foot into the nest. I have run back tonight. But where do we fit? Which bit? an unrelentingly olive flower bed. Trees are black, in italics. Our ruby rose has hipped to hoarfrost. Cast leaves star paths – great sodden wreaths of russet and brown. drilled through cabbages, a yellowed nest of frozen broccoli. Our winter garden feels like a friendly thing. Wings in and swoops to feed. This is why we use it as a metaphor for depression. Run my fingers through it, so thick I felt I could get lost. Rotten with dirty dishes, decrepit with wasted days. Waiting for fog to turn into snow. what do they do at night? or have some unusual hobby? of unsynchronized synapses. No Surrender. last seen fumbling in nevernever land. Who adapt themselves to my slowed responses? a snow storm through an opaque window. Silently becoming yesterday’s draw card. We were well into the nesting phase. I’d prettied a decrepit cot with saffron and buttercup paint samples that even at fifty-percent-off we couldn’t afford. We had one of those fights that you know halfway through you can’t come back from. When I woke he was gone. It took him a few more weeks to move out but he was already gone. Right then. I half-dreamt-half-sensed him slinking back after dark to wrestle shoes and saucepans into newspaper shrouds and out to the car. Boxing up our brief pas-des-deux days. Into which she exploded, early, trailing blood. Like the gunshots we’d heard outside the window just before sunrise that night we talked until dawn. Like the surprising scent of new snow falling weeks before winter onto next door’s pine trees. Like an unexpected surge in the Earth’s gravitational pull. Lips parted spewing kitten mewlings. Miniature fingers too easy to snap, snagged on the frayed edge of her impossibly tiny lemon terrycloth sleeve. Cast so suddenly into my arms. Too early in the season. wood pile by the shed. as a gingko leaf ripe with autumn. of the table, fractured my wrist’. Here are the entries for Best Poem by Under-16s for the Given Words competition for National Poetry Day. They all had to contain the five words decrepit, snow, nest, window and cast, taken from a poem, The Hospice, by the Spanish poet Antonio Machado. You can read the winning poem Seasons Poem by Jemma Prileszky along with the judge's comments here and the poems from the adults' category here. But not a good drop to drink! Hence no chance for people to sync. Tell us how they will save the people who are going to sink? Length halfway through to knees. In the enormous problem, no-one has the time to stop and see. But in the huge big water. Decrepit state of care for injuries, blood oozing out. Nests all fallen with a big thud! Some are roofless, some waterproof dome. In heavy rains people don’t dare to leave home. To prepare for the best things that will ever happen to us. The blazing fire quelling her decrepit bones. Obliged to the exuberant warmth it offers. A sprinkling of snow coats the world. Oblivious to the magnificent scape the world offers. A bird lies dead on the ground, her chicks hungry and alone. She was slaughtered by a hand of ice. And her animated lifetime, from which she has many tales to tell. But with no-one to listen, they will surely perish with her. The haughty freeze beating angrily on her glass shelter. Cosy on a cold winter’s day. Cast as well as window too. That is my poem. It’s done. My decrepit heart crumbles from loneliness. as white powder snow falls down to the earth. Snow started falling on the nest… as I watched out of my broken window. Would do that to me I’m the queen bee of this, mouldy, old, bold house. The snow covered tree oh what a fright ! Why is this decrepit old window dead while we're here flying a kite? Would I die? would I cry? would I eat a butterfly? If I jumped into the shower would I be roasted for half an hour? Would I try? Would I fly? would I draw a vivid line? Be sad. Why does this life not like me? why is it impossible to drink the sea? will I ever cut down a tree ? if I drank a bottle of time would I know how to rhyme? time begun with a thing who knows ? was it a meteorite that crashed into the perfect rose? cast my rod, I caught nothing. I had to climb through the window. I got in and placed the nest on the bench. But never use those silly pegs. For you might crack the eggs. Over civilizations behold, a nation built on sorrow and coal with an epiphany which chosen is stolen we become the shadow looking through an empty window which the glass of praise is thrown and tortured for which is our soul bought away our lives are awoken. We shall revoke the temptation is taken because we are all the endless enigma the pondering minds of which we wonder the true likes of the earth we cast the likeness of depression away stay for who we are we the beloveds of those who have be-friended our morbid thoughts our hearts are droughts locks tropes. Stop, stop, STOP! Our lives will always be beaten by silence of which we all neglect humans are the mistake of mother nature’s pure touch, we think. Our souls cry but always they are wiped away like the tears of a child just like water on snow fades away cascades into darkness we are the fun decrepit fair for despair and out tears are the tickets to a pathway of misery our tears never die for we nest inside hinder the locks of our insanity we all hide because… we are all crying inside. Nest the people sleeping at night. Snow and ice rain down on a winter's night. Wind blows the cat on one’s window. People jolly for winter’s joy. Decrepit trees blow by the road. While joyful children roam in the snow. Now darkness will cast another day. And looked very old to me. Until the sun began to rise. And were ready for their day. On the 19th of May. I feel warmth at last. White specks like diamonds fall from the sky. Watching the day slowly fade into night. She presses her hand against the cold decrepit window. The fog of despair clouds her panes. Glistening on the grass matching her dream. Safety way out of reach. A big thank you to everyone who has sent us their poem with the five words – decrepit, nest, cast, window and snow. The selected poems and winners will be published here mid–September. If you want to be the first to know please subscribe to our newsletter here. We only send emails related with this competition and you can easily opt out at any time. In the video below you can hear the five words we have selected this year. All you have to do is write a poem which includes the five words and send it to us before midnight on 24 August, National Poetry Day. We will award a prize for the Best Poem and a prize for the Best Poem by Under-16s. 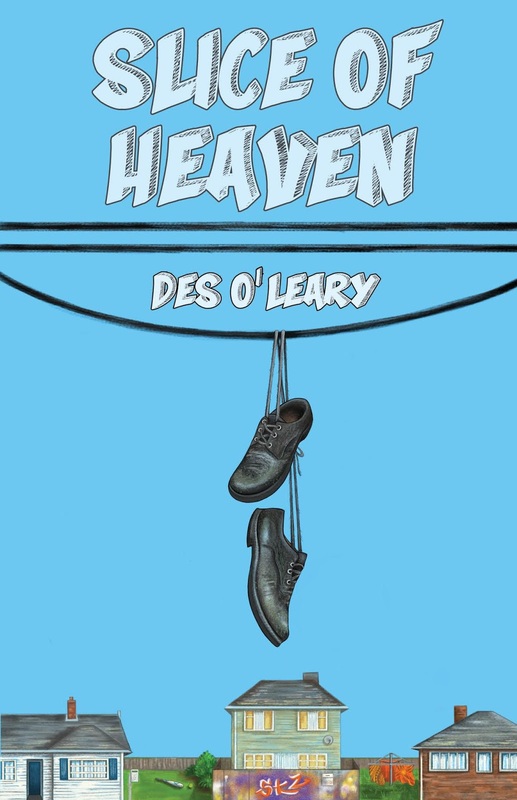 The winner of Best Poem will receive a copy of the New Zealand Poetry Yearbook 2018, courtesy of Massey University Press and the winner of the Under-16 category will receive a copy of Slice of Heaven by Des O'Leary courtesy of Mākaro Press. Further details of these books are below. In addition the winning poems will be translated into Spanish and published on the Spanish version of the project Palabras Prestadas. – The poem must include the five words. – The words can be in any order. – You may change the tense of verbs. – Maximum length 200 words. – Entry is free and open to all NZ citizens and residents. – Only one poem per person. – Poems by under-16s must also include the age of the poet. We would prefer parents or teachers to send the poem on the child's behalf. – FOR TEACHERS: You are very welcome to get your classes to participate, but please help us out by only sending in a selection of up to 10 of the best poems from your students. We have prepared a lesson plan for teachers. – Participation means you allow us to reproduce your poem on Given Words. – The deadline for entry is midnight on 24 August 2018. To receive updates about the competition please subscribe to our newsletter here. We only send emails related with this competition and you can easily opt out at any time. The poems will be judged by the poet and artist, Charles Olsen. It's the hospice, the old provincial hospice. And the caw of crows sharpens winter nights. Lies in eternal shadow. The old hospice! You can read about Antonio Machado on Poetry Foundation. 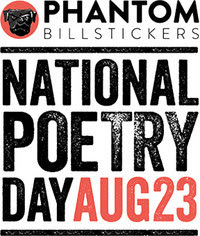 Watch this space for the next edition of Given Words for Phantom Billstickers National Poetry Day in New Zealand 2018. On 1 August we will publish here our selected five words which you have to weave into a poem and send to us by the end of National Poetry Day 24 August. We will be awarding a prize for the Best Poem and a prize for the Best Poem by Under-16s. 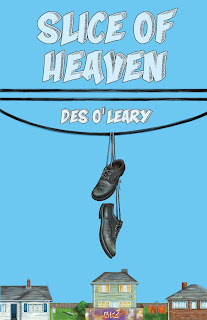 The winner of Best Poem will receive a copy of the New Zealand Poetry Yearbook 2018, courtesy of Massey University Press and the winner of the Under-16 category will receive a copy of Slice of Heaven by Des O'Leary courtesy of Mākaro Press. In addition the winning poems will be translated into Spanish and published on the Spanish version of the project Palabras Prestadas. If you want to be the first to know what we are doing please subscribe to our newsletter here. We only send emails related with this competition and you can easily opt out at any time. In the meantime you can enjoy the poems from last year in the previous posts. 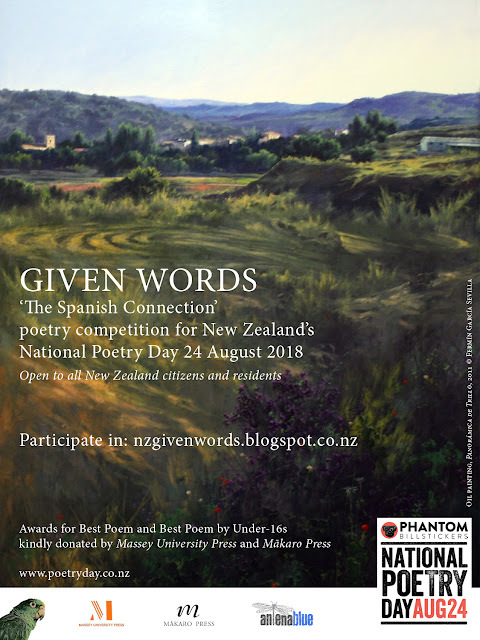 MANY THANKS TO ALL who have sent in their poems with the words donated from around New Zealand. We have enjoyed reading all your poems and seeing how each person has incorporated the five words, which were not easy! "I was also impressed by the creativity of our younger poets and was particularly drawn to the opening imagery of Songbird where the unexpected phrasing has something of the otherworldliness of birdsong. In the end I have settled on A Magical Visit with its vivid imaginary world – the way poetry can open thought spaces – and the particularly creative way the five words have all found a place within the story." We are delighted to announce the winning poems. The winner of Best Poem who receives a copy of the New Zealand Poetry Yearbook 2017, courtesy of Massey University Press is Elizabeth Brooke-Carr for her poem All this and the winner of the Under-16 category who receives a copy of Lonesome When You Go by Saradha Koirala courtesy of Mākaro Press is Hannah Earl for her poem A Magical Visit. Congratulations from Given Words. Their poems along with the other poems received can be read below. The winning poems have also been translated into Spanish and can be read here. exhilarated, static, finish, kaitiakitanga and biscuitchip. pressing footprints into the wild, southern afternoon. You see it first. A lumpish, static shape on the shoreline. leafbud ears. Kneeling, I whisper its beauty. white belly curve stained with a blush of weeping pink. as if wonder was a last rite we might perform for you? again, intrepid, in a school of gliding fins. Their rough, biscuitchip armour vastly intimidating. What lies ahead? What will I discover? The only lively creature among taunting shadows and a whispering breeze. I am in an ethereal paradise. As I depart the forest once more. We might begin, by asking which election? in a family game of cards, not thrones. like the last biscuitchip, even here. half-truths, advertising, a clamour of desire. our days, on a spring tide of hype. bombarded by media static posing as fact. till they finish, exhausted by their own games. Such vote-catching talk, tying good words in knots. In life’s corner, you’re painted in. You wait upon the finishing. slips from you, slack and frayed. and struggle in their measure. on the margins of an unswept floor. E hoa, kei hea to kaitiakitanga? For the Lord asks of me kaitiakitanga. And finish the work he began. And to be exhilarated in your service. * Friend, where is your caring? when the lights are out sparks fly. icecream pressed ‘tween pink wafers. A biscuit-chip jams between her teeth. their solar cells and integrated circuits. And fears too, that she will wear thin soon. with her hands full of theirs. a toy with LEDs lights up. it is time to grow up and give back. beyond the confines of my heart. Kaitiakitanga of all that I am is now wholly your domain. beyond the horizons of the ordinary. The hour when dreams of memories both start and finish. Now five o’clock has come. And we go on living. You might as well finish me off now. I now cry a river of nitrogen tears. with a sparkler in the dark. Childhood seasons you with biscuitchips. Crumbs are the best compliment. before they fall, roll away. in a chlorine-free version of a static future. The last word will be fresh. made from mother’s magic healer. Biscuitchip? Biscuitchip? What can it be? Is it something that I should surely see? Something that human people eat? Instead I feel worried and disorientated. Biscuitchip, biscuitchip, why are you here? Do you make life finish too soon with despair? Have we lost the truth of what it is care? The call of nature, falling deaf on the ear? the warmth of the soil, nature’s keys. When we grow, will we talk? When we talk, will we grow? We might get to know. The beach strewn with the laziness of others. A birds nest of static fish line. Kia kaha oh beautiful Gaia. as i near the finish. static electricity when I’m with you. sounds of wind and rain echo through the night. flaming dots flicker across the screen instead of the scheduled programme. stops for a second, inside my television. But the universe never stops, never does finish. born again in a million years. Small things enter the cosmos. from silent baby with large eyes, looking up to his mother. Her protection, her kaitiakitanga unknown to him. A student at school, who learns, asks the teacher questions, enjoys youth. and he wonders what is next. But really, do any of us? Be a warrior for more. Static excitement circulating through the children. Drooling mouths and open eyes. the scurrying sound of an animal vacuum cleaner. Coating the ground in a blanket of crumbs. 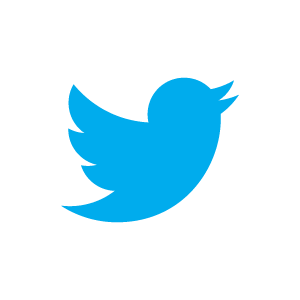 Does a songbird care for the glimmering instance of its tune? Thank you to the publishers Massey University Press and Mākaro Press who have supported Given Words since 2017 with books from their collections.